This week my granddaughter started kindergarten. She obviously takes after her Olly when she declared after the first day: Why we can’t go to school everyday, even through spring break?! 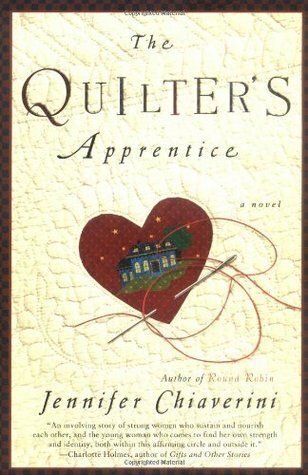 I finished The Quilter’s Apprentice, the first book in the Elm Street Quilters series. While it’s not a cozy mystery, it is a cozy story, and I enjoyed meeting the members of the The Tangled Web Quilters, as well as the protagonist, Sarah McClure and her employer, Mrs. Compson, a tough old broad on the outside with a kind wounded heart on the inside. I’m a quilter wannabe, so I found references to different quilt patterns interesting, but sometimes written in too much detail to hold my interest. I did enjoy reading about their quilting time, however. These sessions provide opportunity to connect with others in an intimate way. Family stories are shared and friends listen with empathetic ears. There is also a spirit of camaraderie that I don’t see often. “Many hands make light work” is evident when everyone comes together to help assemble Sarah’s surprise anniversary quilt. I enjoyed the book and the characters enough to pick up another one. Seeing how there are at least twenty books in the series, however, I will probably not read them all. My rating: 4 out of 5. I started Bookmarked for Death, the second cozy in the Booktown Mystery Series by Lorna Barrett. I am excited to see how the author develops the familiar characters, and I look forward to revisiting this delightful fictional town. 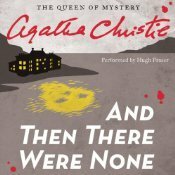 In addition, I started Agatha Christie’s bestseller, And Then There Were None. I am ashamed to admit I have never read a Christie novel, but if I am serious about writing in this genre, it is time I become familiar with the Queen of Crime. I decided to use one of my Audible credits – and I’m hoping this will be a viable way for me to maintain an active reading routine in this genre. I learned a valuable lesson this week. 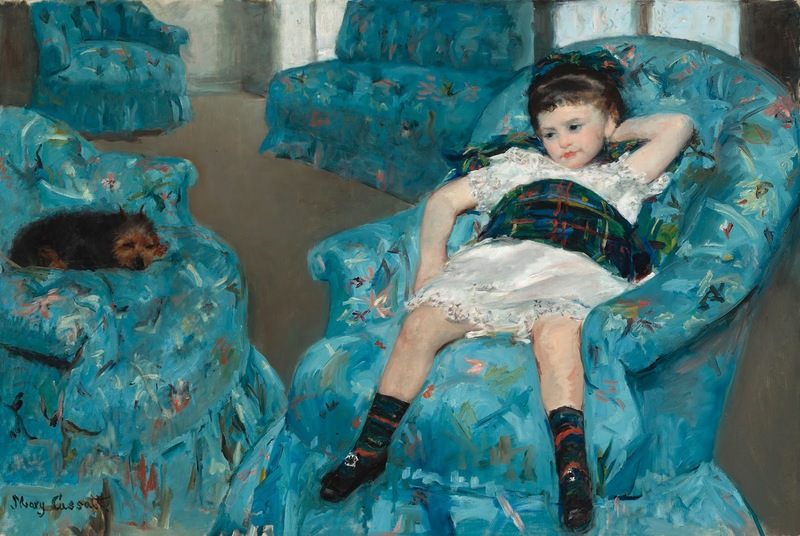 Taking a break from writing fiction – especially longer than a week or two – rusts the mechanism. I feel as though my creative writing is as atrophied as my right arm. I started slow – rereading the first eight chapters to reconnect with the characters’ voices and personalities. I added all feedback from beta readers and gave serious thought how those additions (or subtractions) would move the story forward and tighten the narrative. By Thursday, I was ready to write. I had all intentions of completing chapter nine in a day, but the story just didn’t flow. I completed about 800 words though, and I’m hoping to finish the chapter this afternoon. I also discovered, however, that writing a detailed synopsis helps greatly in greasing those rusty gears and getting back on track. I’m glad I took the time to not only outline the plot, but to give thought to personality, point-of-view, and sensory details. It helped me add some much needed meat to a bare bones effort. After last week’s photo organization success, I decided to tackle my gmail inbox this week. I try to discard emails on a regular basis, but somehow they got the best of me. While I’m not proud of the fact my inbox swelled to nearly 4,000 pieces (gasp!) – I am pleased to report that I managed to weed it down to below 100. I did not discard all of them, however. I have several specific folders – like photography, writing, and travel – where I file correspondence I want to keep. This makes for easy reference and manageable numbers. 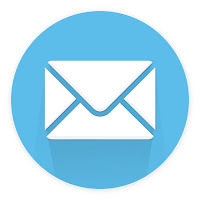 To maintain this level of organization, I plan to take a portion of my weekend “planning, reviewing, and reflecting” time to weed out emails that no longer serve a purpose. I figure this will take about five minutes a week. A system I can live with. I begin Physical Therapy for my arm on Monday. I’m hoping to be able to dry and style my own hair by the end of the week (perhaps that’s a bit unrealistic….) Other than that, I plan to do more reading, writing, and baking for upcoming Totoro Family Recipe posts. What do you have planned for the week ahead? Hope your physical therapy goes well this week. You are such an organized person…I feel certain you will write a wonderful story! Thank you SO much, Deb, for the encouragement! I might have to try one of these "quilting" cozy's. I use to be a big quilter. I met once a week with a quilting friend to quilt (almost finished a log cabin star quilt, but I still need to hand stitch the top) and I use to belong to a quilting "club" with a lot of ladies. Once a year we'd do charity quilts and it was so much fun. Picture probably 100 women quilting together! Anyway, reading about a quilting group probably would bring back some fond memories…. I use to devour Agatha Christie novels too! Thanks for sharing! And good luck on getting back on track with your book! Sounds like you found the solution. I might get to some organization this week myself – at work. It's long overdue. I've just been waiting to get an air conditioner for an upstairs office and might take our old one here from home (got a new one today, from our neighbors). I've found with organizing my photos, like you with your e-mails, that putting them in folders has helped me. I wish I had the patience to quilt. I could spend hours looking at all the fabric and choosing just the right patterns and colors. And I enjoy cutting out the pieces and imagining how the fit together. But I do not enjoy sewing in the least 🙁 Probably because I have to rip out too many seams. Yes… I use folders to organize my photos as well. I got my mother-in-law started on these books. She's a quilter and the family is grateful as she's gotten older that she has this group of ready friends outside of family. I'm sure that it boosts her mood. I need to do an email sorting project, too! Oh gosh, what happened to your arm? Sorry to hear. It's heartwarming to hear about your granddaughter in kindergarten liking school, how wonderful. I hope you enjoy your week and your Agatha Christie novel. Oh… I like symmetry and decided I needed to break my right humerus to match the left one 🙂 All is good. I'll be healed in no time.